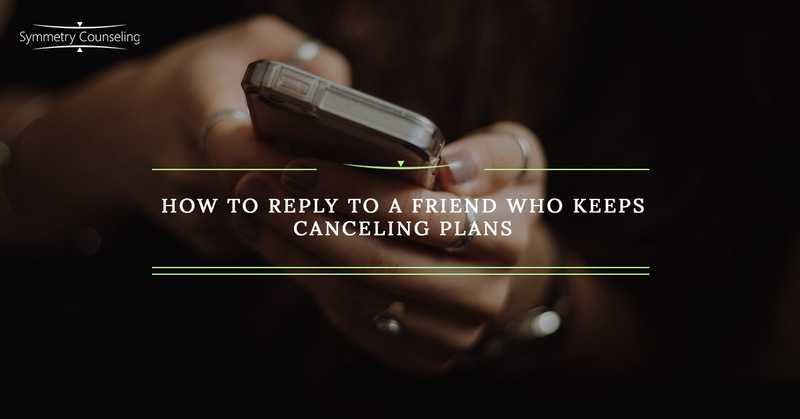 A reader of our blog wrote in to ask our advice about a friend who keeps making plans with them and then later canceling. Watch the video above for Dr. Malec’s response. Everyone experiences a friend canceling plans on them from time to time, and it never feels good. In the video, Dr. Malec recommends that you take the time to address this issue with your friend. Whether you set up a time to meet up in person, give them a call, or send them an email, it’s important that you express your feelings about it. It might be that when your friend keeps canceling on you, it feels like you are unimportant to them, or they aren’t respecting your time. It may be that you feel like they make plans with you, then drop you once something better comes along. Chances are, your friend doesn’t know how you feel. There is nothing wrong with feeling this way; it is completely normal and common. The goal of this conversation is to empower you and make you feel as if you are standing up for yourself. Keep in mind that you are only asking your friend to provide what you yourself bring to the friendship. Got questions for our therapists? Submit your questions here, or contact Symmetry Counseling for a psychologist in Chicago.